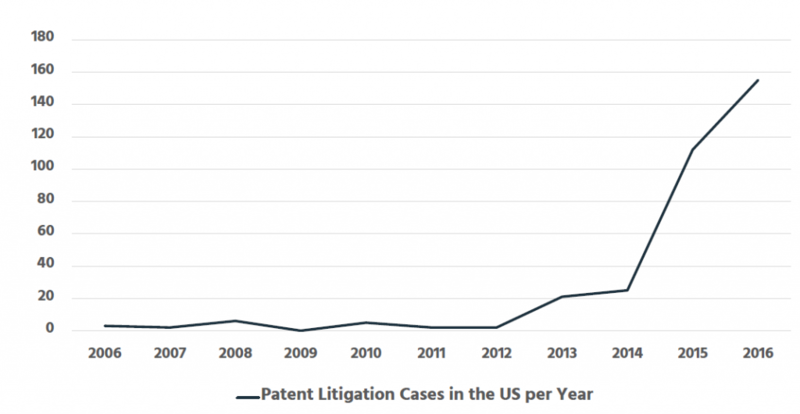 A recent study reveals that US patent litigation on cloud technologies has been increasing by 700% over the past 4 years (figure 1). This drastic surge of litigation was mainly driven by so called PAEs “patent assertion entities”. 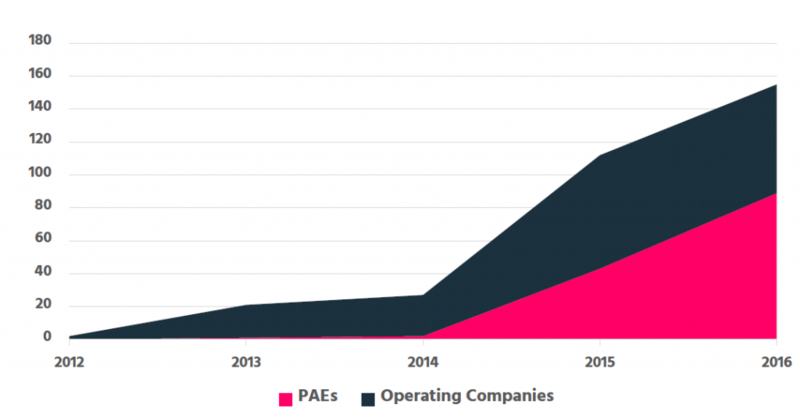 PAEs purchase patents, e.g. from a bankrupt firm, and then sue other companies by claiming that one of their products or technologies infringes on the purchased patent (figure 2). Cloud computing is a space where complex technologies often overlap. 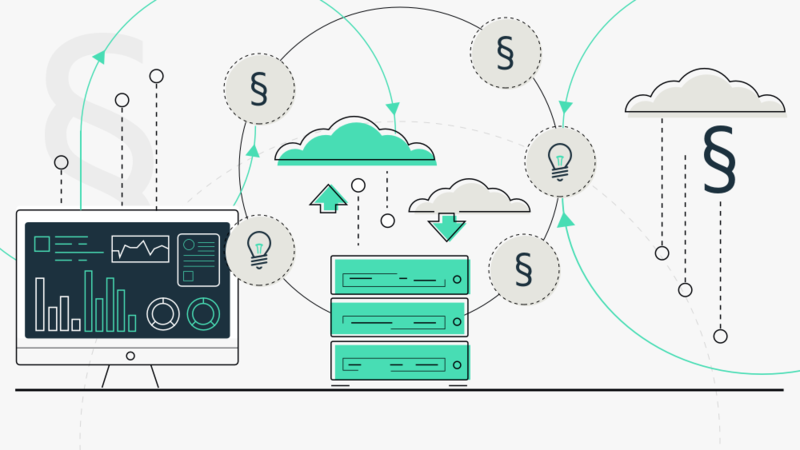 Therefore, it becomes challenging for cloud-based companies to make sure that their solutions are not unconsciously infringing patented inventions. Just recently a techcrunch article revealed that Snap Inc. acquired a cloud-based geo filter patent from Mobli for a record amount of 7.7 million US dollars. Mobil was a Snap competitor that closed business years ago. However, Snap acquired the patent to ensure that the patent will not fall into the hands of an aggressive PAE (patent assertion entity) or competitors. When looking at the recent litigation numbers the fear of being sued for infringing cloud patents seems eligible. Cloud technologies are often believed to fundamentally rely on shared environments following public standards. The presented numbers however show that cloud technologies are increasingly subject to patent litigation. This may in fact block the open use and the commercialization of future cloud-based solutions. Cloud computing technologies are complex systems with millions of applications that are incorporated in various products or services. Broadly written patent claims may thus touch an unforeseeable range of cloud-based solutions creating unpredictable legal risks for every business that is based on cloud technologies.  The presented results are an extract of an ongoing study around patent activities in the space of cloud computing. The analysis conducted by IPlytics intends to shed light on the potential legal risks for cloud technology users.